Later today the Yankees and Blue Jays will continue their three-game weekend series with the middle game. That’s a 4:07pm ET start. Here are some trade deadline notes to check out in the meantime. The kinda maybe possibly good again Matt Harvey is “not high” on the Yankees’ list of trade targets, reports Jon Heyman. Heyman says that, among other things, the Yankees are worried about a “potential circus” that would follow Harvey’s return to New York. Yeah, it sure would create a media frenzy. That’s for sure. I’m sure the Yankees would happily live with the headache if Harvey were still a no-doubt ace, but that is no longer the case. Harvey owns a 4.91 ERA (4.67 FIP) in 80.2 total innings this season, though he’s been better since being traded to the Reds, pitching to a 3.86 ERA (4.20 FIP) in 53.2 innings. He’s been especially good the last three times out, allowing only three runs with a 14/2 K/BB in 18.1 innings against contending teams (Cubs, Braves, Brewers). Jay Jaffe had a good breakdown of Harvey’s revival. Strip away the name and I don’t think the current version of Harvey generates much buzz as a trade candidate. Meh. According to Heyman, the Yankees are a “main player” for J.A. Happ and he’s either at or near the top of their deadline shopping list. The Brewers and Mariners are said to have interest as well, and I’m sure other teams will enter the mix before the trade deadline. The Yankees will get (another) firsthand look at Happ later this afternoon, when he takes the mound at Rogers Centre in the middle game of this three-game series. The 35-year-old Happ is sitting on a 4.03 ERA (3.64 FIP) after getting clobbered for seven runs in 5.2 innings against the Tigers last time out. Prior to that he had a more palatable 3.62 ERA (3.58 FIP) in 97 innings. I think Happ is the best available rental in a pretty crummy market. A quality southpaw who is familiar with the AL East would be a welcome addition to the rotation. The trade that sent Scott Kazmir from the Athletics to the Astros in 2015 seems like a decent trade benchmark. The A’s landed two top 20 organizational prospects (Daniel Mengden and Jacob Nottingham) in that deal. The Yankees do not have as much interest in Tyson Ross as they do other trade targets like Happ and Michael Fulmer, reports Lindsey Alder (subs. req’d). The 31-year-old Ross is on a dirt cheap one-year contract with the last place Padres and chances are he’ll be traded before the deadline. San Diego would be silly to keep him when they could turn him into a prospect or two. Rebuilding teams sign reclamation projects like Ross specifically so they can flip them for prospects. So far this season Ross has a 3.78 ERA (4.31 FIP) in exactly 100 innings, though, like Happ, his last start was disaster (seven runs in five innings). Prior to that Ross had a 3.32 ERA (3.87 FIP) in 95 innings. His strikeout (21.4%) and ground ball (43.8%) rates aren’t nearly as good as they were before his 2016-17 arm problems. I see Ross as more of a secondary target a la Jaime Garcia last year. Someone to add for depth. Not someone you’re counting on to really make a difference, you know? The Reds, Tigers, and Royals have all been scouting the Yankees in recent weeks, according to George King. The Royals had a scout on hand Sunday, Monday, and Tuesday at Yankee Stadium while Reds had someone in the Bronx on Monday and Tuesday. Kansas City has also been scouting Double-A Trenton. The Tigers, meanwhile, have been covering the farm system thoroughly. Undoubtedly other teams are scouting the system as well. I think it’s safe to assume the Tigers are doing their due diligence in advance of a potential Fulmer trade. The Reds have Harvey and Raisel Iglesias — would they move Luis Castillo? — while the Royals have Danny Duffy and Mike Moustakas, who I supposed could play first base. It might seem like a stretch that the Yankees would trade an MLB roster player(s) for any of those guys, but Jonathan Loaisiga started Monday and Domingo German started Tuesday. I don’t think the Yankees would make either off-limits. I’m not saying they should trade them. But they would in the right deal, for sure. The Yankees and Red Sox will wrap up their three-game weekend series later tonight on ESPN’s Sunday Night Baseball. First pitch is scheduled for 8pm ET and I reckon the game will end around midnight. That’s usually how these games go, right? Anyway, here are some notes to check out in the meantime. According to George King, the Yankees had scout Jay Darnell on hand to watch Michael Fulmer’s most recent start. Darnell is one of Brian Cashman’s most trusted scouts. 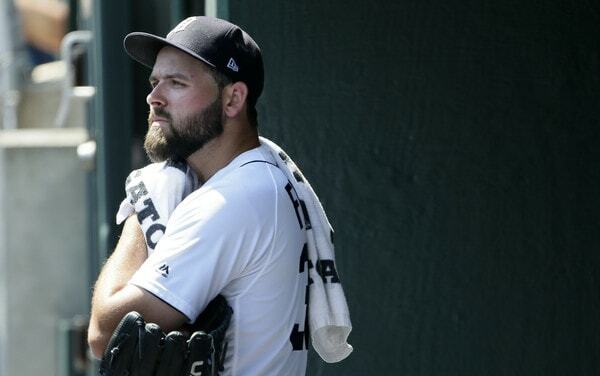 For what it’s worth, a rival executive told Jon Heyman he thinks the Tigers will keep Fulmer for the time being. “They are treating him like a No. 2 starter,” said that rival executive. If nothing else, the Yankees are doing their due diligence prior to the trade deadline. They’ll scouts lots of guys in the coming weeks. Fulmer, 25, started Thursday and allowed four runs on nine hits and no walks in eight innings against the Athletics. He struck out five. 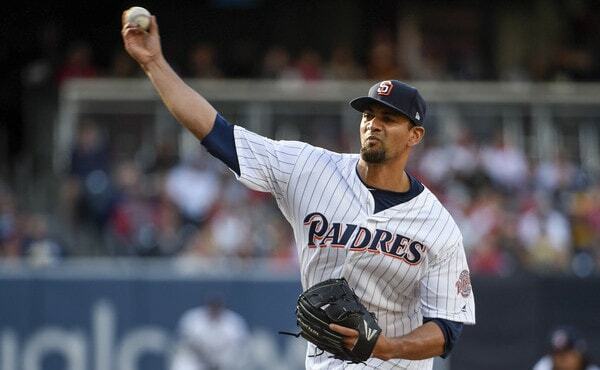 For the season he owns a 4.20 ERA (4.03 FIP) with 20.4% strikeouts and 46.3% grounders in 94.1 innings. Fulmer is under team control through 2022 but he has been a little worse with each passing season. I was a big Fulmer guy in the past. I love the stuff. But I wonder if he’s a Michael Pineda type who is more hittable than the stuff would lead you to believe. With their season spiraling out of control, Mets assistant GM John Ricco said he will indeed consider trade offers for Jacob deGrom and Noah Syndergaard. Ricco is essentially the club’s acting GM after Sandy Alderson stepped away to receive treatment for cancer. “We’ll have to consider (trading them). For me, everything has to be on the table. But you have to look long and hard before you move a game-changing, top-of-the-rotation pitcher,” said Ricco to Tim Healey. “I’ve been engaged with all clubs, including the Mets. It’s the job,” Cashman said at Keens Steakhouse in Manhattan, where he helped promote a new venture called New York Sports Tours. “And if you can ever match up, you make ownership recommendations on both ends and see if it takes you anywhere. Either deGrom or Syndergaard would be a tremendous get for the Yankees, both short and long-term. Syndergaard has more team control remaining and the higher upside, I think, but I prefer deGrom. His injury history isn’t as scary — Syndergaard is out with a finger issue right now and has thrown only 95 innings since the start of last season due to lat and finger trouble — and I think he’s just flat out better. deGrom’s been ridiculous this year. Of course, the chances of a significant Yankees-Mets trade are remote, even if it makes sense for both teams. The Yankees can match (and beat) pretty much any prospect offer, and if they make the best offer, why wouldn’t the Mets take it? Who knows. I guess the thought of potentially seeing deGrom or Syndergaard leading the Yankees to postseason glory is enough to make the Wilpons squeamish. I like that Cashman is talking about this openly. Puts pressure on the Mets. Everyone knows the Yankees have plenty of good prospects to offer, and if they trade deGrom and Syndergaard for a bunch of lesser prospects, lots of Mets fans will not be happy. According to Jeff Passan, MLB has banned teams from signing players out of the Mexican League, citing “fraud” and “corruption” with the league’s transactions. Mexican League teams control a player’s rights indefinitely and they sell those rights to MLB teams. Generally speaking, the player only gets 25% of his signing bonus with the rest going to his Mexican League. MLB wants a system similar to their posting arrangements with Japan and Korea, where most of the money goes to the player. Mexico does not produce as much talent as the Dominican Republic or Venezuela, though dozens of Mexican born players have played in the big leagues. Luis Cessa and Gio Gallegos both originally signed out of Mexico. Ten years ago the Yankees landed Manny Banuelos, Alfredo Aceves, and two others in a package deal with a Mexican League team worth $450,000. The process for signing players out of Mexico is incredibly unfair to the player and I’m glad MLB is trying to do something about it. The Yankees are considering buying back controlling interest in the YES Network, reports Andrew Marchand. At the moment the team owns 20% of the network and 21st Century FOX owns the rest. A few years ago the Yankees sold a 49% stake in the YES Network at a valuation of $3.8 billion, and the deal allowed 21st Century FOX to purchase up to 80% of the network, which they’ve since done. Marchand says the YES Network is part of a collection of assets 21st Century FOX is looking to unload. The Yankees could line up investors, buy back the network, and chances are nothing would change on our end (except streaming on the FOX Sports Go app, probably). If another entity buys YES — Marchand says Comcast and Disney are in on the action — there could be changes to the network as the new owner incorporates their branding and whatnot. Either way, the Yankees will still make gobs of money through the YES Network. 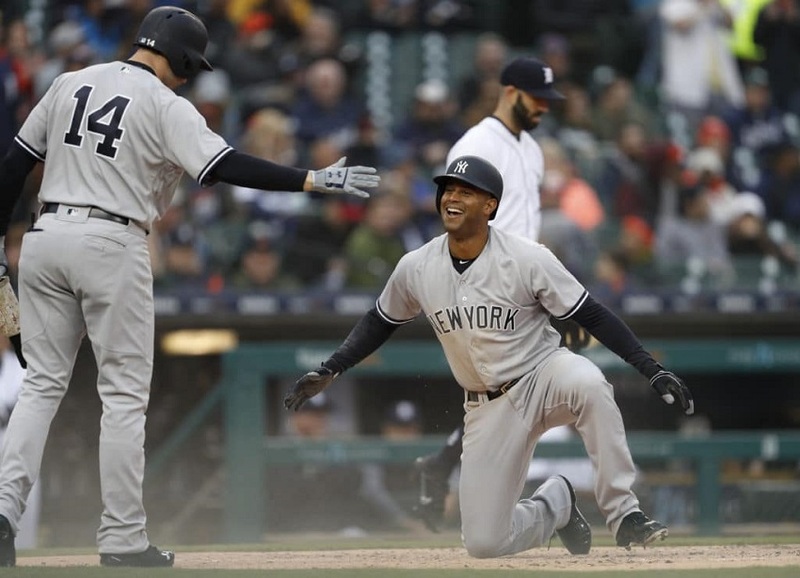 The Yankees three-city road trip continued with a short stop in Detroit for a double-header on Monday, their first twinbill against the Tigers since May 12, 2010. 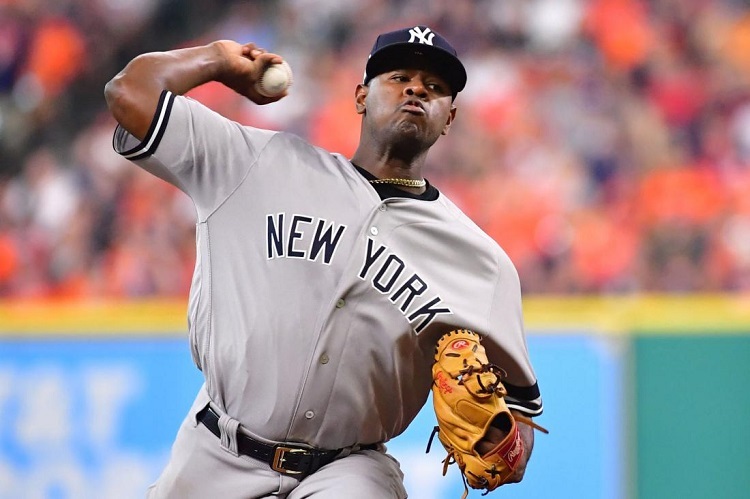 They took the afternoon contest thanks to another brilliant start by Ace Severino, who was backed up by one of the Bronx Bombers’ patented explosive innings at the plate in the 7-4 victory. After the Tigers took an early 1-0 lead in the first, the Yankees knotted it up at 1-1 in the third with another clutch homer by Gleyber Torres, the 10th of his career. At 21 years and 173 days old, he became the second-youngest Yankee to reach double-digit home runs, trailing Mickey Mantle (19 years, 323 days) and just ahead of Joe DiMaggio (21 years, 216 days). That’s quite the legendary pinstripe sandwich (sorry!). Greg Bird untied the game with his own solo homer in the fourth inning, sparking a six-run frame during which the Yankees had six straight hits before the Tigers even got one out. Obscure, yet sweet, stat alert: It was the fourth game that the Yankees scored at least six runs in an inning, tied with the Cubs and Astros for the most such games in MLB (through Monday). And just for fun … the only other Yankee pitcher to strike out at least 10 guys, walk none and allow one earned run or fewer in a game against the Tigers was Roger Clemens on July 19, 2000. The bats went cold in the nightcap as the Yankees dropped the second game in Motown, 4-2, in one of their more frustrating losses of the season. They went 0-for-10 with runners in scoring position, left 10 men on base, and twice loaded the bases without plating a run. The split meant that the Yankees still haven’t swept a twinbill since April 16, 2014 against the Cubs, an eight-doubleheader sweepless drought that is the longest by a Yankee team in nearly 50 years (14 straight in 1969-70). 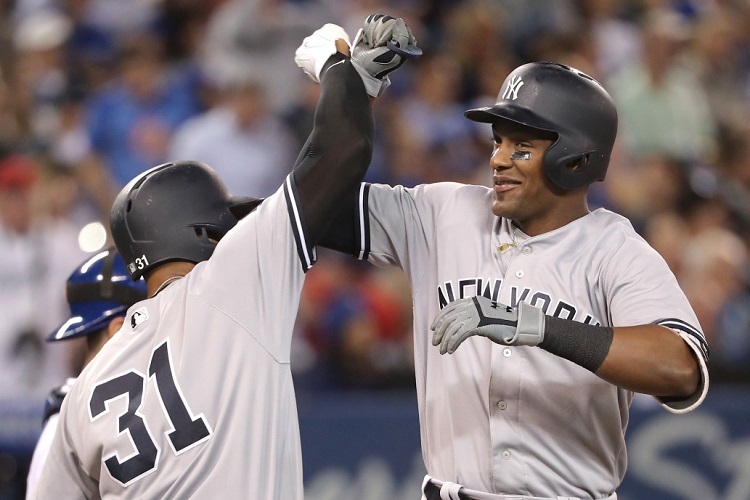 Miguel Andujar provided one of the few offensive highlights with two booming doubles, his team-leading 19th and 20th two-baggers of the season. He is the eighth Yankee since 1908 to reach 20 doubles this early into the season, and the only rookie in that group. It’s only the first week of June, but he is already the first Yankee rookie third baseman with 20 doubles in a season since Gil McDougald, who would go on to win AL Rookie of the Year in 1951 to kick off a productive (yet largely forgotten) 10-year career in pinstripes. While Miggy was spraying balls into the gap, Aaron Judge was whiffing and watching called strikes pass by him at the plate. 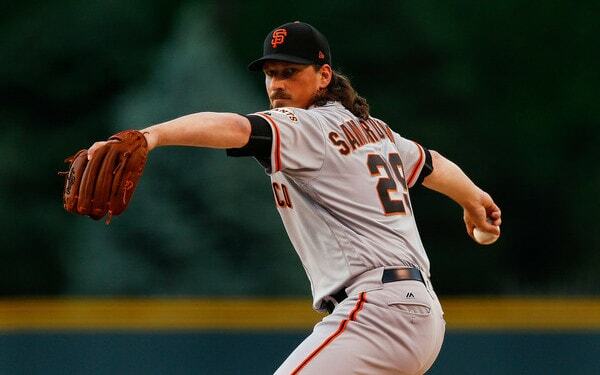 He got his first career five-strikeout game on Monday night, and combined with his three punchouts in the afternoon game, became the unfortunate record-holder for the most strikeouts by a player in a doubleheader. Six guys previously had struck out seven times in a twinbill, and the most recent one was Shea Hillenbrand on Sept. 27, 2005. The final leg of their road trip to them north of the border to the Rogers Centre, a place that had recently been a house of horrors for the Yankees. Entering the series they were 8-16 at the venue since the start of 2016, their worst record at any AL ballpark over the last three seasons. A combo of Baby Bomber power and Vintage Veteran pitching helped the Yankees get a rare win there on Tuesday. CC Sabathia rebounded from an awful four-start stretch to deliver a turn-back-the-clock performance that was reminiscent of the pitcher who had a 1.39 ERA through his first six starts of the season. He kept the Blue Jays off the board through the fifth inning, and the only runs he gave up were on two solo homers in the sixth and seventh frames. 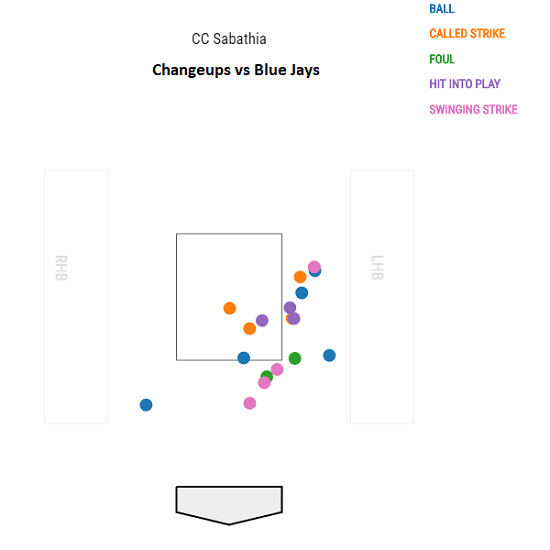 None of his 18 changeups resulted in a hit or walk, and they netted him four called strikes, four swinging strikes, a couple foul strikes and just three balls hit into play with an average exit velocity of 70.8 mph. It was Sabathia’s 240th career regular-season win, matching Frank Tanana for 55th place on the all-time MLB list, and his 123rd regular-season win in pinstripes, tying Mike Mussina for 12th place on the all-time franchise list. Youngest Yankee with a go-ahead grand slam in the 7th inning or later since a 20-year-old Mickey Mantle did it on July 29, 1952. Third rookie third baseman in franchise history to hit a grand slam, joining Mike Pagliarulo (1984) and Horace Clarke (1965). First Yankee since Dave Winfield (1987) to hit a go-ahead grand slam against the Blue Jays when trailing in the game. Another day, another game, another drama-filled and stunning win for the Yankees. Ho Hum. 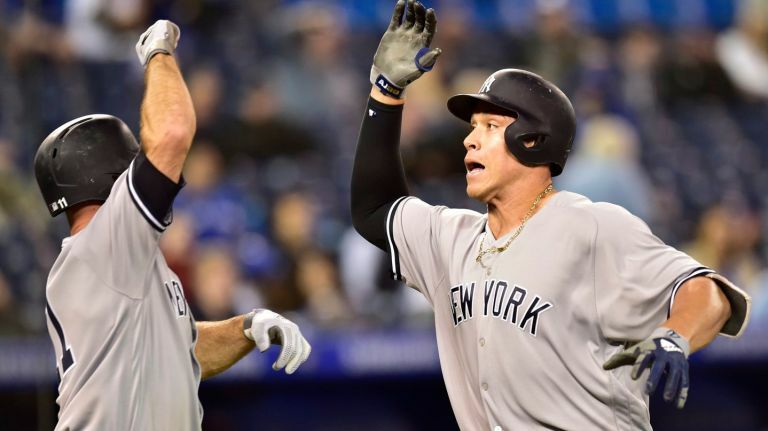 The Fighting Spirit was strong on Wednesday night as the Yankees capped off their mini-sweep in Toronto with a 3-0 win in 13 innings. The only other time in the last 25 years that the Yankees beat the Blue Jays in a game that went 13 or more innings was April 19, 2001, a 6-5 win that lasted until the 17th. 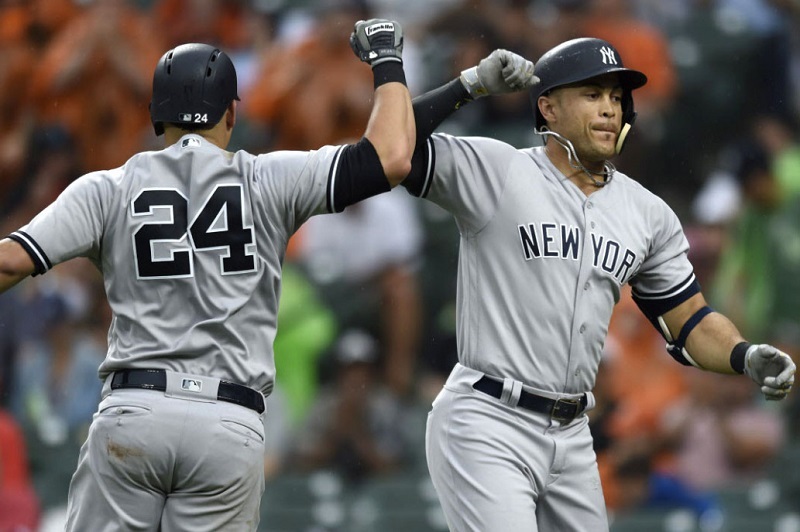 Neither team put any runs on the board until the Bronx Bombers exploded for three in the 13th. This was the 623rd game played between the Yankees and Blue Jays, and the first one that was scoreless through nine innings. Aaron Judge wore the hero’s cape after his 404-foot monster blast to center untied the 0-0 game in the top of the 13th inning.
? The only other Yankees in the last 90 years to break a scoreless tie with a homer in the 13th inning or later were Alex Rodriguez, who hit a 15th-inning walk-off homer on August 7, 2009 against the Red Sox, and Bill Skowron, who hit a solo shot in the top of the 14th on April 22, 1959 to beat the Senators. Perhaps the most amazing stat of the game: this was Judge’s first career extra-inning hit of any kind; he was 0-for-14 with 10 strikeouts in extras prior to the homer on Wednesday night. Giancarlo Stanton added an insurance run in the 13th inning with a 119.3 mph laser shot into the left-field seats. Not only was it the hardest-hit homer by any player this season, it was also the hardest-hit extra-inning homer hit by any player since Statcast tracking began in 2015. Lost in the extra-inning madness was an outstanding gem thrown by Sonny Gray, who retired the first 12 batters he faced and allowed just two hits over eight scoreless innings. 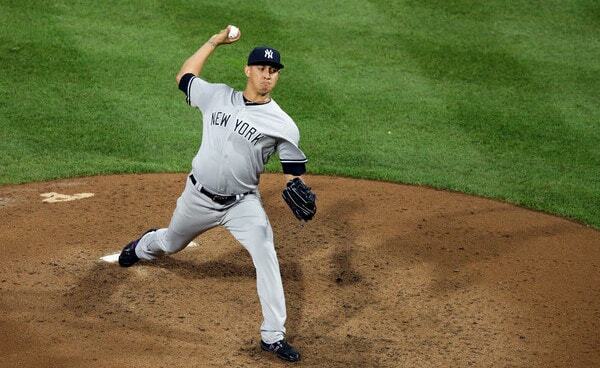 It was the first time in 25 starts as a Yankee (including the postseason) that he didn’t give up a run. The Yankees slow dance with mediocrity continued on Friday as they moved back to .500 with a 8-6 win over the Tigers. Fourteen games into the season and they haven’t lost more than two games in a row or won more than two games in a row, and they’ve been within a game of .500 following 12 of their 14 games played. In his second game since coming off the DL, Aaron Hicks stole the show with a historic performance at the plate. In the second inning he drilled a hanging changeup to deep right-center, and as the ball caromed off the wall at an odd angle, Hicks motored around the bases and slide safely (with a big smile on his face) into home for his first career inside-the-park homer. It was the first inside-the-parker by a Yankee since Curtis Granderson on August 21, 2011 at Minnesota. The last Yankee to hit one against the Tigers was Bill Robinson on June 4, 1967 in the Bronx, and the last Yankee with an inside-the-park homer in Detroit was Roy White on May 18, 1966 at the old Tiger Stadium. But Hicks wasn’t done yet! In the sixth inning he went deep in the more traditional way with a majestic 417-foot shot into the right field bleachers to give the Yankees a 6-1 lead. He became the first Yankee with an inside-the-park homer and an outside-the-park homer in the same game since Hank Bauer on May 30, 1956 in the second game of a doubleheader against the Senators at Yankee Stadium. Bauer was a tough, hard-nosed player (before joining the Yankees, Bauer won two Bronze Stars and two Purple Hearts as a marine in World War II), and the most notable stat of his baseball career is that hit safely in an MLB-record 17 straight World Series games from 1956-58. The last time a Yankee player had a multi-homer game that also included an inside-the-parker on the road was August 13, 1939 at Philadelphia’s Shibe Park, when Babe Dahlgren and Joe DiMaggio both pulled off the feat in a 21-0 (!) win over the A’s. That game, by the way, remains the largest shutout win in franchise history. Hicks also was the fifth Yankee to hit two-or-more homers in a game this season — joining Gary Sanchez, Giancarlo Stanton, Tyler Austin and Didi Gregorius — making the Yankees the first team in major-league history to have five different players with a multi-homer game this early into the season (14th game). Miguel Andujar also powered the offense with a double and a triple, his first extra-base hits of the season. And even better, he earned our Obscure Yankeemetric of the Series: The last Yankee, who had less than 15 big-league games on his resume, to hit a double and a triple in the same game was a 22-year-old rookie named Bernie Williams in 1991. 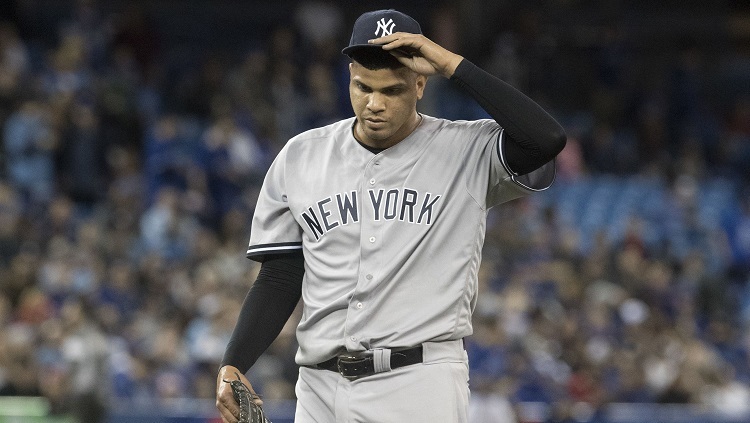 The Yankees nearly blew the game after another shaky outing by Dellin Betances, who gave up a solo homer and three runs in the eighth inning. 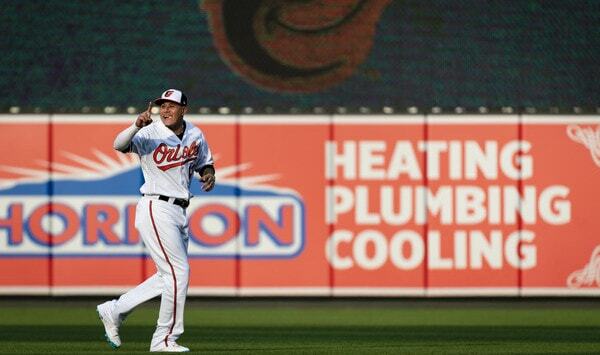 It was the third home run he’s allowed this season, equaling the total he gave up all of last year. Important note: he’s faced 24 batters this season and faced 261 last year. While the three home runs so far might be a fluke — he’s allowed three flyballs this season and all three have gone over the fence, which is an unsustainable 100 percent homer-to-flyball rate — there is little doubt in the numbers that he’s getting hit much harder this year compared to the past. The homer crushed by Jeimer Candelario on Friday had an exit velocity of 110.6 mph, the hardest-hit batted ball off Betances since Statcast began tracking that stuff in 2015. Overall, he’s allowed an average exit velocity of 91.3 mph, a huge jump from the 84.1 mph mark he allowed last year. Digging deeper, the three dingers each came off his four-seam fastball, which has lost both velocity and spin this year, even when comparing to April last year. Keep in mind that the league average spin rate for four-seamers is 2,250, and high-spin fastballs result in more whiffs while low-spin correlates to more groundballs. Generally, the worst type of spin is average — which is exactly where Betances’ four-seamer is this year. The results have been ugly, too: Batters are 7-for-12 (.583) and slugging 1.333 (3 homers, 4 singles) when putting his fastball in play this season; last year opponents hit .200 and slugged .325 off Betances’ fastball. The Yankees dropped two of three in Boston and now complete their week-long road trip in Detroit, where they’ll face one of baseball’s many tanking franchises. The Yankees went a disappointing 3-3 against the worst team in baseball last year despite all but one game in their season series coming after the All-Star break. They avoided Justin Verlander both times. In Detroit from Aug. 22-24, they lost two of three against some of the Tigers’ lesser starters. Brawl!!! The last time the Yankees faced the Tigers, both benches cleared multiple times. Both managers were ejected, as were Alex Wilson, Dellin Betances, Tommy Kahnle, Austin Romine and Miguel Cabrera. The brawl(s) produced some of the most memorable regular season moments from last year. Sanchez sucker punching Cabrera and earning a four-game suspension. David Robertson’s majestic sprint from the bullpen. Romine facing down Miggy and starting the first fight. Brett Gardner fighting and CC laughing at him. I hate brawls, but the CC laugh and Robertson sprint were all kinds of great. The Yankees lost the brawl game, 10-6, to finish the series, but they won the first two games by a combined total of 23-6. Sanchez hit three of the Yankees’ six homers during the two blowouts. For more information, check out Katie’s Yankeemetrics post. Nothing much to report here. Jordan Zimmermann had a line drive glance off his shoulder and into his face on Wednesday. Luckily, he was left with just a right jaw contusion while passing concussion protocol. Phew. It didn’t look great at the point of impact. At 4-8, they’re right where they belong near the bottom of the AL Central. They’ve been swept by the Pirates and Indians, though they swept the White Sox. The team hasn’t hit, posting a team wRC+ of 69, second worst in baseball to the Indians. Their team batting line is .207/.291/.306 and they’ve only hit three home runs. 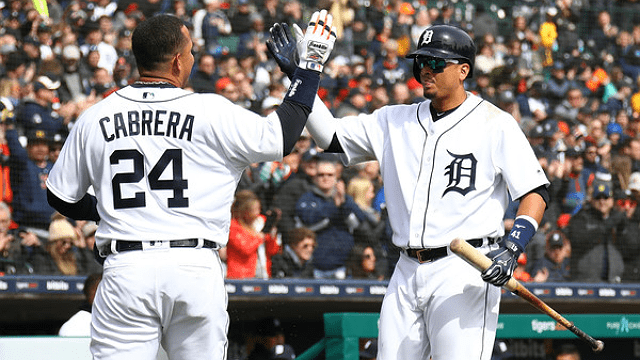 The lineup isn’t too recognizable outside of Miguel Cabrera and Victor Martinez. Their bullpen is a lot of question marks. Their rotation has the second fewest strikeouts per nine and the smallest groundball rate. Thanks to a strong start from their veterans, they had the fourth best rotation ERA in baseball going into Thursday before Michael Fulmer was shelled. Now they’re 13th. Giving up six earned runs in three innings will do that. You may also see rookie Niko Goodrum taking a start at first, second or short. Ah Goodrum, just what you need to get through the Tigers season. Mike Fiers joins the Tigers this season after spending the last 2.5 years at the back of the Astros’ rotation. He faced the Yankees twice last year, giving up a homer to Aaron Judge while dancing in and out of trouble over 9 2/3 innings. 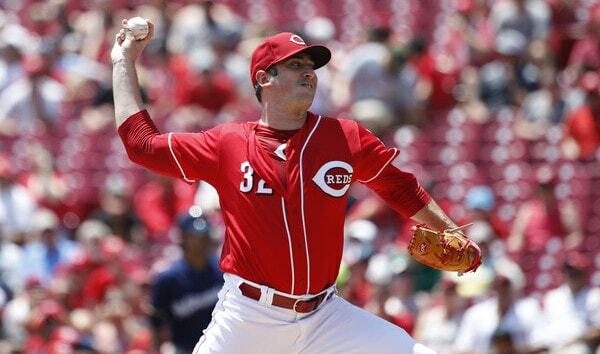 The 32-year-old starter was designated for assignment in December after being left off Houston’s postseason roster. He missed the first week of the season with a back injury but is now one very effective start into his tenure with the Tigers. Fiers was a replacement level pitcher last year because his home run problem made a turn for the worse. 1.88 homers per nine innings worse. Coupled with a rising walk rate, he pitched to a 5.22 ERA, which was actually better than his 5.43 FIP. His fastball lives in the high 80s and he plays off of it with a low-80s changeup, a low-80s slider and a low-70s curveball. He was tied for the AL-lead with 13 hit batters in 2017 and led all of baseball with 17 wild pitches in 2016. Another game, another castoff from the 2017 Houston Astros. Liriano has moved between the Pirates, Blue Jays and Astros over the last two seasons before landing in Detroit this season. Houston used him out of the bullpen after acquiring him at the deadline in 2017 and his walk and strikeout rates suffered in the pen over 14 1/3 innings. He got one out in Game 7 of the World Series and faced a total of 10 batters in the postseason. The 34-year-old southpaw been pretty good over two starts with the Tigers, albeit against sputtering offenses with the Royals and Indians. He had a no-hitter through 4 2/3 on Monday in Cleveland. Lefties are hitting just 1-for-15 against him while RHBs are 6-for-27. He lives off his 93 mph sinker and 83 mph slider, working in an 85 mph changeup against righties. The slider has long been his best pitch, so expect a healthy dosage on Saturday afternoon. Do you remember Matt Boyd? You remember Matt Boyd. Here’s why.
? In the past, the 27-year-old lefty has gone to his low-90s/high 80s fastball/sinker about half the time and mixed in a low-80s slider, high 70s changeup and a low 70s curveball. Sanchez’s 493-foot homer last year came off a changeup that Boyd hung. This year, he’s worked in his slider as his primary secondary pitch and cut back on his sinker a bit. It’s worked in that he has a 1.38 ERA through 13 innings, though it seems to be more batted ball luck (.154 BABIP with a low HR/FB and IFFB rates) than skill (five strikeouts to go with one walk and one HBP). The Detroit bullpen is the Island of Misfit Toys this year, a mixture of failed starters and unproven relievers. The only real established relievers are closer (and former Yankee!) Shane Greene and 31-year-old Alex Wilson. The duo have given up eight runs (seven earned) in 12 1/3 innings. Welp. 23-year-old Joe Jimenez has been the primary setup man and has allowed five baserunners and struck out four in 6 1/3. Drew VerHagen has overcome some control issues to produce seven solid innings. Former Rule 5 pick Daniel Stumpf is the lefty-matchup reliever while fellow southpaw Daniel Norris is the long man. The team got just 3 2/3 combined innings out of Zimmermann and Fulmer the last two days, so the bullpen has seen a lot of work. Chad Bell wore Thursday’s loss with four shutout innings out of the bullpen, so only Bell and Jimenez pitched yesterday. The Yankee-related players are few and far between. On the 25-man roster, it’s only Greene, who the Yankees dealt to get MLB-shortstop WAR leader Didi Gregorius. On the 40-man, there’s Johnny Barbato of 2016 bullpen shuttle fame. That’s it. No one else on the roster and no one on the coaching staff. Here’s the question for the Yankees’ next five games: Can they take advantage of some bad opponents? The Tigers and Marlins are teams they should beat handily and this dip in opponent quality comes before perhaps their toughest stretch of the year. That stretch will be 18 games in 18 days against the Blue Jays, Angels, Twins, Astros and Indians. Then they get a day off and three more games against the Red Sox. That’s 21 games against division favorites or the leading wild card competitors. You have to take advantage of the Tigers and Marlins before this rough schedule hits. Lastly, Sunday is Jackie Robinson Day. It’s an important day for baseball to reflect on both Robinson’s impact and baseball’s less than stellar past. The No. 42 on everyone’s back is a good reminder. The hot stove has slowed to a crawl during the holidays, as it always does. Things will pick up after New Years. It has to, right? So many top free agents remain unsigned, and there are some big name trade chips still waiting to be had. Anyway, here are some bits of news and notes to check out. According to Bill Brink, the Yankees made trade offers for Michael Fulmer and Chris Archer, which were rejected by the Tigers and Rays, respectively. The offers are said to be on par with what the Yankees are offering the Pirates for Gerrit Cole, so I guess that means Clint Frazier plus other stuff? Both Fulmer (five years) and Archer (four years) come with more control than Cole (two years). I wonder how seriously the Yankees pursued Fulmer and Archer, both of whom I prefer to Cole. Were they cursory “here’s an offer what do you think?” offers, or were there counteroffers and continued negotiations? I guess it’s possible the Tigers are holding out for Gleyber Torres given Fulmer’s five years of control, and an intradivision trade with the Rays may be too complicated, so any talks with those teams could have ended quickly. The Yankees recently tried to engage the Giants on Jacoby Ellsbury, reports Jon Heyman. San Francisco is looking at other (i.e. better) outfield options first. They’ve been linked to Jay Bruce a bunch in recent weeks. We recently heard Ellsbury might be willing to waive his no-trade clause for select teams, including possibly the Giants. Supposedly Ellsbury wants to stay with the Yankees, but who knows. I get the sense that, if an Ellsbury trade does go down, it won’t happen until late in the offseason, after free agents like Lorenzo Cain, Carlos Gomez, Jon Jay, Jarrod Dyson, and Austin Jackson sign. Any teams that miss out on those guys could then shift focus to Ellsbury and see how much the Yankees are willing to eat. The problem with an Ellsbury trade taking place late in the offseason is the Yankees won’t know whether they’ll have any extra money to spend under the luxury tax threshold. They have to plan as if Ellsbury will be on the roster in 2018. According to Marc Topkin, the Yankees were one of many teams with interest in Evan Longoria before he was traded to the Giants. It’s unclear whether the two sides actually talked about a trade at some point. Longoria is owed $86M from 2018-22, though he would only count as $11.1653M against the luxury tax payroll given the timing of the two team friendly extensions he signed way back when. I know the Yankees have an opening at third base, but I have to say, I would not have liked a Longoria pickup at all. He just turned 32 and he hit .261/.313/.424 (96 wRC+) in 2017. He’s hit .265/.325/.457 (113 wRC+) in over 3,400 plate appearances dating back to Opening Day 2013. Longoria’s best years are behind him. The Yankees don’t need to trade prospects and take on salary for a guy like that. What are the odds Miguel Andujar outproduces Longoria from 2018-22? Better than I think most people realize And I’m talking on the field only. Once you factor in salary, forget it.